I am reminiscing (that’s what you do when you are a grandmother or Nannie). How wonderful to be a grandma! I am so glad God has allowed me to live long enough to be one. I hope my children and grandchildren feel the same. I have not been able to entertain and play with them like I imagined I would, but it has been such a blessing to have them close enough to see them frequently. One or two of them spend the night with us several times a week. It is so sweet to look in on them at night and see their sweet faces on my pillows . I would not have been able to do this if I had not had some very capable helpers. Emily Locy was the first person to help me care for my grandchildren. She was so kind and sweet, soft spoken, and a true woman of God. She endeared herself to the grandchildren and me. She helped me organize my pantry, which was a major undertaking, and her handwritten notes still remain on my pantry shelves. She and her husband sponsor an orphanage in Uganda that care for several children there. If you are interested in helping them, you can read about their ministry at New Hope of Life Foundation online. Their organization is in New Albany, Ohio. Emily and Tilly Evans are sisters who have helped intermittently. Every time the children see them drive up they start jumping and yelling because they are so happy to see these sweet girls. I am so thankful that God has provided us with the competent, caring help we have had. They have all moved on. This fall Tilly returned to Liberty University to continue her education. Emily went with her this time and is working. They don’t yet know, or may be just now realizing, that their lives will be forever changed. They are shedding their skin and trading it for wings. I am sure that God has some special purpose for them to fulfill, and I am SO grateful that He allowed us to play some small part in their lives. More than that, I am thankful that He sent them our way, at a time when we desperately needed them. They have truly been angels on earth. Not one day goes by that the grandchildren don’t ask if Emy and Tilly are coming today. Since they have moved on, our babysitter is now reduced to MEL. I seem to be doing well physically. If I’m not, I don’t know it. I used to work with a kindergarten teacher who said that she lived in her own little world, but that was O.K., because everybody there knew her. I think I now understand what she meant by that. The Drs. Have dismissed me unless I have some further issues. I give God all the glory! I have had some really good doctors, and I appreciate everything they have done. But I know, and they do too, that they cannot heal me. I believe God has. I by no means am the person I used to be (my memory, especially short term, is terrible). I have never been inclined to worry, but I now find myself fretting about things that would have never bothered me before. They really are not important things, but somehow I manage to make them into something they are not. My frame of reference now is “before and after” cancer. That is not a terrible place to be. Some people didn’t make it to after. I truly, literally have handprints in my house and footprints on my heart from these wonderful, caring, people that God has placed in our lives. We are who we are now, because of them and what they have done for us. We and they are living tributes to God’s providential care. I thank Him and them from the bottom of my hear!!! I have not posted in awhile. I have had the time, but not the motivation, or vice versa. Gordon has had surgery for hip replacement. He continues to suffer unmercifully, mostly from pain and nausea. He kept thinking it was all coming from his back and neck. His PA at the Pain Center finally decided to investigate and sent him for an X-ray of his hip. The socket was completely worn out. He is about 3 weeks out from the surgery & his therapy is going pretty well. He is still in a lot of pain, and nauseated, but thinks it is getting better. I appreciate your prayers for him. Gordon’s Mom is not doing very well. A hospice nurse is coming a couple of times a week to help with her at the nursing home. We have not been able to visit her as much as we would like, & it is very difficult to communicate with her because she does not hear well. I really hate to see her like this and not be able to do more for her. Please keep her in your prayers. I cannot believe that it has been 6 mos. since I last blogged. Where has the time gone? I have had opportunity but no inspiration; or I have had inspiration but no opportunity. The grandchildren have kept me busy, but they are not really an excuse for not blogging. I have to say that I received some really good news from my doctor yesterday (Dec. 3), the best Christmas present ever! He said my tumor continues to remain “stable”, and I do not need to see him again for a year. I told him that I appreciate all he has done for me, but he knows that ultimately he cannot heal me. I do know someone who can and I will receive his report as a divine healing. Dr. Dang did not disagree with me although I am not sure he really believes. I have been taken off all my medicines, except heart medicine for A-fib. No further problems with that either. Gordon continues to struggle with his neck and back. He is in so much pain, especially this week, that I believe he is tempted to OD. Please pray for him that God will heal him or provide a way that he can get some relief from this. He really is pitiful! My brother Bill has had some similar problems with his back. He is going to Tampa, Fla. next week to see a doctor there who has had some reknowned success with surgeries of this kind. Please pray for him too that He receives what he needs. 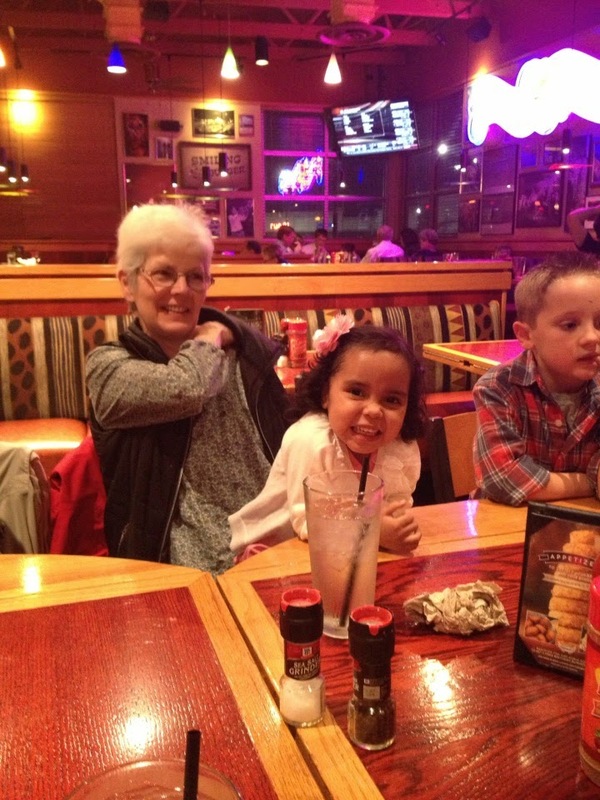 I continue to enjoy taking care of my grandchildren, 3 or 4 of them most of the time; the others as needed or wanted. We have 1 or 2 of them most nights, just because they want to stay. The time will come soon enough that they will be busy with other things. I want to enjoy them while they like to be here. Of course, they are precious, although not quite perfect; but we are working on that. Lest you think I have become “super woman” in my old age, I hasten to say that I have some very capable help or I could not do this. A wonderful girl from Slapout, Ala. (yes that is a real place) helps me with them. She raised twins and another baby a year later, so we figured she might be qualified. She has been wonderful and the children really love her. The babies are the joy of our lives and truly are a reward “for not killing your own when they were young!” It is amazing how much wisdom they have. This week, Sarah (Todd’s almost 7 year old_ quipped that “Mama & Daddy are geniuses. They know just what to do in case you get a scrape on your knee or something.” Isn’t it amazing how smart we (adults) are when they are 6, then how ignorant we become @ 13? Reese agrees that grown-ups “know everything,” and then proceeds to throw a Texas sized temper tantrum when you tell him to, or not to do, something. As of today Todd has been hired by Huntsville Fire Dept. He finished his last class today. We are so proud of him. He has worked so hard for this. I am sure he will be a real asset to the fire dept., because he has such a good understanding of mechanical things. We are very proud of both of our “boys” and so thankful for them and their families. They both have very dear wives who have blessed us in ways that boys just cannot. I am so thankful that our families have enjoyed congenial friendships that many families do not have. I will take this opportunity to wish everyone a blessed Christmas. I pray that the real “Reason for the Season” will be part of your celebration this year and always. Thinking about Father’s Day, I have reflected on my own precious father who was taken from his family far too soon when he was far too young. He was a mountain of a man in statue (6’), in spirit, and in character. Mom called him her Greek God! He was a wonderful husband and a great Dad. He set the example for us of doing what was right. He was honest and he expected others to be, including us. He was never abusive, but he did not spare the rod. We knew we were loved, because there were boundaries set, and they were enforced. He was strong man, but a humble servant. He set the example of honoring his parents and treating his fellowman with respect and dignity, regardless of race. He died while my sister was expecting his first grandchild. As I interact with my precious grandchildren I often think what it might have been like for him to have experienced the joys of grandchildren. I have 7 grandchildren that I care for either every day, or occasionally, depending on their age. The older ones have school at home. Some of the younger ones come to me on weekdays. I love them all dearly. They each have their own little personality traits, some more pleasant than others at any given time. We have one who has been particularly strong-willed, and a real challenge to care for sometimes. But when he is sweet he is SO VERY, VERY sweet, so he has a way of capturing Nannie’s heart. This week he informed me that I was getting old. I asked him how he knew that. He said “your hair is all white, and you sleep a lot,” referring to the fact that I spend a lot of time on the couch! He also informed me that I needed a haircut. I don’t know how he got so smart, or how he learned to stroke my ego! My granddaughter Sarah (almost 7) quipped, “Mommas & daddies are geniuses because they “know just what to do, you know; if you have a scrape on your knee or something.” Such wisdom from the mouths of babes! These babies have been so precious to us, and I do not know how I could love them so much. I believe God sends them to give parents a second chance to do things better or right. I believe they are a small window into heaven to help us understand how The Father feels about us. You think when your children come that you could not possibly love anyone as much as you do them, then, here come the GRANDchildren! I thank God for healthy, happy (most of the time) grandchildren and for the blessing they have been to our lives and for the lessons I have learned from them about living and what things are really important in life. I have never been known as a spotless housekeeper. I have never had anyone offer to eat off of my floors!! But since the grandchildren came along, I have learned to become even more relaxed about my house. I do try to keep my floors clean, but if the children spill something, I don’t go ballistic. I wipe up as best I can and try to encourage them to have drinks at the table. Of course, that isn’t always practical. I have turned my “formal” living room into a toy/play room and moved my living room couch into the den (where Reese says I sleep all the time). We have toys strewn from one end of the house to the other, in pleasant disarray, but (I think) the children love coming here and they feel free to play as they wish. I could not be a happier grandma! And so I think about how our Heavenly Father feels about us. He is patient and tolerant of our spills and messes. If we trip up, He picks us up and dusts us off and bandages our wounds if needed. He doesn’t expect us to do things right the first time, though He is happy when we follow His instructions and do the very best job we can. He is happy with our successes, patient with our failures, and always willing to give us another chance. I am infinitely grateful for a Father who cares more for me than I do for myself, is happy to give me another chance. He gave me the VERY BEST gift a father could give, redeeming love! During this season we think about the price our freedom cost our Lord. The costliest gift He gave was the freedom for us to choose, either to accept Him or reject Him, to serve Him or desert him. We know from our American history that freedom is not cheap, but when is freedom really freedom? In “freedom” we are not really free. We may have freedom but not the liberty to do as we well please. There are certain obligations that come with that freedom, be it religious, political, or personal. God is a perfect gentleman. He does not force Himself on anyone. I think the hardest thing we do is to let our loved ones go to try their independent wings, to learn from their own mistakes. I am sure God has anxiously watched us make wrong choices or mistakes, even sometimes deliberately. It would be so easy for Him to reach down and redirect our path. But because He loves us, He allows us to make our own choices, even when they are to our detriment. When I read this commentary I was cut to the quick! How many times have I treated my Lord so lightly, carelessly, so disrespectfully. Without realizing it, I have again betrayed Him. Thank God that He does not hold that against me. Praise God for His love that sent Christ to the cross, that we can indeed be redeemed! He was betrayed for the betrayers. I have not blogged in awhile, a lot going on. Gordon has suffered horribly with his back and neck. Trying to postpone another back surgery, which seems imminent. I seems we have had one crushing blow after the other. Of course our business has not been good, though finally picking up some with this beautiful weather. His Mom is still in a nursing home, very unhappy there, but we feel there is no other alternative. 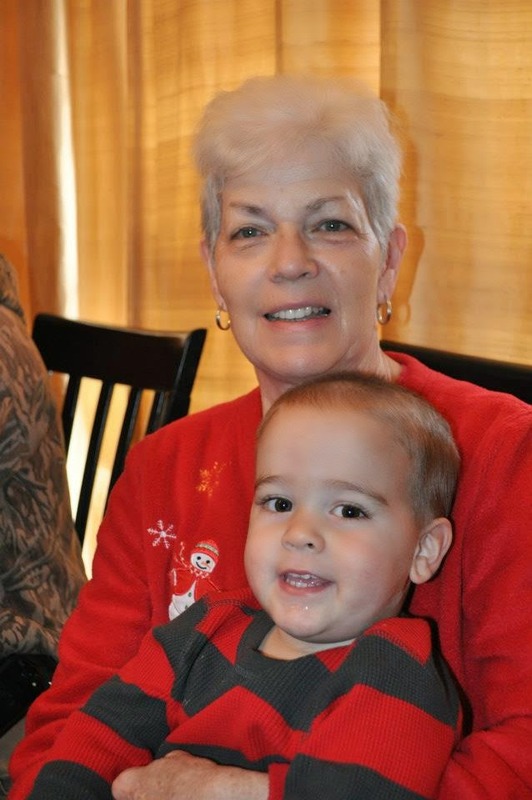 I am still able to help with the grandbabies, because I have had some wonderful help. We lost a very dear cousin of Gordon’s, someone He has been close to all his life. They were such quality people, and he will be sorely missed, at home, at work, in his community and church, and his family. But our loss is truly heaven’s gain. Please be in prayer for his family and his wife, Coleen. My Mom is doing fair. She does have some breathing issues. Has curtailed herself from driving after she had a problem with her eye. SO, we are taking turns “Driving Mrs. Gracie.” Of course, she tries not to impose, and it has been nice to spend some extra time with her that we might not have otherwise. Todd has been hired to work at Huntsville Fire Department. He is doing his training now which will be for about 22 wks. We are so proud of him, but that has added greatly to the problems with the shop. He is so good with mechanical things, he has really put a dent in our seasonal business. I hasten to say that we hope and pray that he is able to apply himself and take advantage of this opportunity. We are enjoying Brant & Elesha’s new addition. She is such a sweet child and seems to have made the adjustment to our family rather easily. She has become Reese’s best buddy. He needed one!! More when I have a chance. Thanks for all your prayers. I believe that is what has made the difference. I am going on 6 years post op. Praise God!! My sister-in-law sent this out in her annual Christmas greeting. It so aptly expresses what God has done for us. I say Amen and AMEN! "Peace on earth and good will toward men." I was thinking we all love good will done toward us. We enjoy giving good will to others. Sometimes words are said in such a way we hear it differently. This morning was one of those times. Our heavenly Father, God of all creation, who watched His holy creation marred by sin, in the fullness of time sent us Messiah, very Son of God, a good will offering. In Jesus, God the Father says, "I have a new life to give you and that life is in my Son. Believe in Him, trust He forgives and cleanses and makes all things new." This is an amazing thing, this reconciliation. For those of us who have believed we take it for granted. We forget to pause and worship and remember how loved we are. We often worry instead of trust. We get busy and forget to bow low and look high. There, seated on a throne no man can overthrow, is Son of God, Savior, Lord of the universe. The One by whom, for whom, and through whom all things were created. There, the One who overcame all was granted a throne with all power and authority. There, where He is proclaimed to have a face shining like the sun at full strength and a voice like the sound of many waters, men fall down. They, with one voice say, "Holy, holy, holy, is the Lord God Almighty who was and who is and who is to come." And they cast crowns and proclaim, "Worthy art Thou, our Lord and our God to receive glory anhonor and power; for Thou did create all things and because of Thy will they existed and were created." For HIS will, and HIS glory ALL things-- us, nature, stars and sky, explain and exalt our God. Praise HIM! Worship HIM! Adore HIM! I have not blogged in awhile. I have been rather busy, but also have not really had the inspiration. So much has happened since I last blogged. We have a new granddaughter from Colombia, adopted by Brant and Elesha. They got home just in time for Christmas. 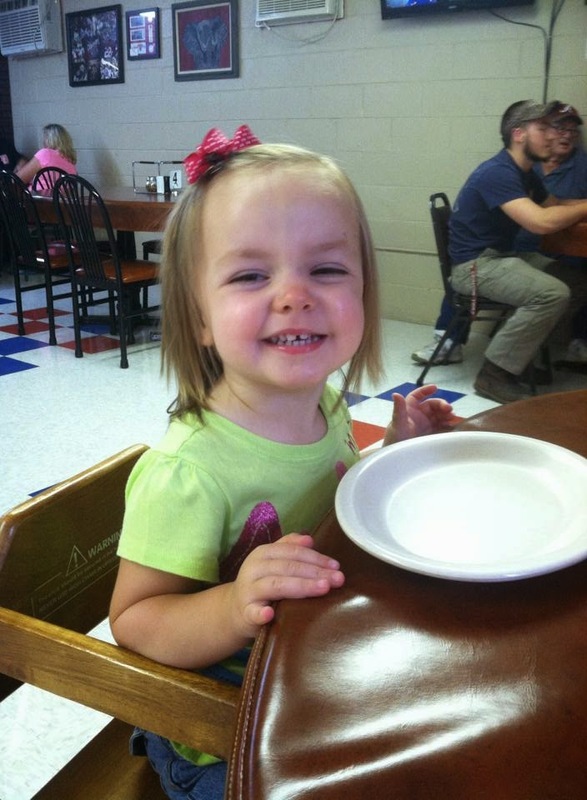 Elesha did a wonderful job of blogging about their adoption process at www.thebigsthelittles.blogspot.com if you are interested in reading their account. It is a wonderful testimony of God’s protection and provision and their endeavor to trust in Him. Gordon is still suffering, & I mean SUFFERING, with back and neck pain. The surgeries and pain treatment he has had don’t seem to be helping much. The doctor really wants to do another surgery on his back, but he is reluctant to try again. I know God allows circumstances in our lives that bring us to a place He wants us to be. I am not sure Gordon believes or understands that, but I pray that he will do whatever is required to allow God’s work in his life. We are not always as interested in the process as we are the outcome. I believe God is interested in the process. If God’s own Son suffered as He did, how do we think we will leave this word without some suffering on our part? I thank God that He loves us enough to allow us to share in Christ’s suffering. I also Thank God that he gives gifts according to our need. If you have multiple children, you understand that principal. Some of us are more “needy” than others. Thank God that He gives to us according to our need, and not our desserts, or someone else’s! I have been rather needy myself, lately. I have fallen into a pattern of fretting about things I can do nothing about. I have tried to replace this “stinking thinking” with more time in the Word, which has helped. I have imagined myself securely in the safe lap and arms of a Father who loves me and wants only the best for me. I must remind myself that I don’t know what is best and I MUST trust Him to provide. I have a little phrase I tell my grandchildren that I hope teaches them about unconditional love. “I love you when you are good, I love you when you are not good, and no one will ever, ever take your place.” I am so glad that I can trust God for that kind of love, and I want to set that kind of example for them. I am rereading a book by Joyce Landorf called Balcony People. She also wrote another one called Irregular People. Balcony People is about people in our lives who affirm us, and how important this is to who we are. I am reminded again that words are important to us. They can “make us, or break us.” Our actions can too. This has been a fresh reminder to me to be kinder, gentler, more in tune to others needs. All of us have fragile places in our lives, some more than others. Some of us have been through horrendous circumstances, having been abused by the very people who should have loved us. So how can we understand the unconditional love of God? The wonderful thing is that we don’t have to understand. All we have to do is receive it. Who of us, if given a gift, would not reach out and receive it? It is the same with God’s love. All we have to do is receive it. Most who read this have already experienced this, but if you haven’t, I invite you to reach out and receive. What better way to begin a new year, than to walk hand in Hand with God through Christ? When I read this commentary I was cut to the quick! How many times have I treated my Lord so lightly, carelessly, so disrespectfully. Without realizing it, I have again betrayed Him. Thank God that He does not hold that against me. Praise God for His love that sent Christ to the cross, that we can indeed be redeemed!